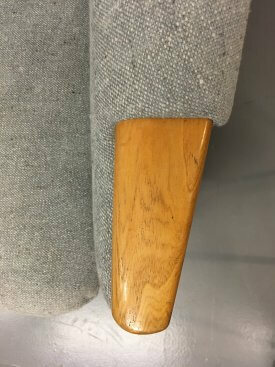 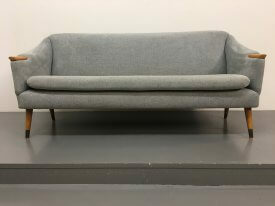 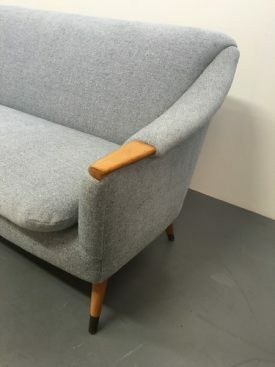 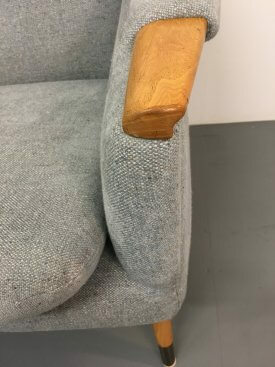 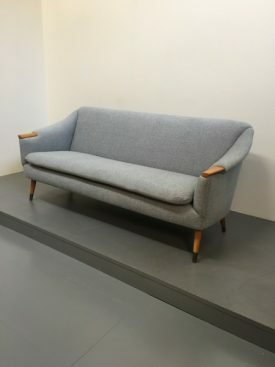 Norwegian 2 seat sofa. 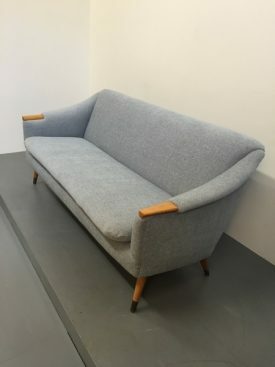 Design 1957. 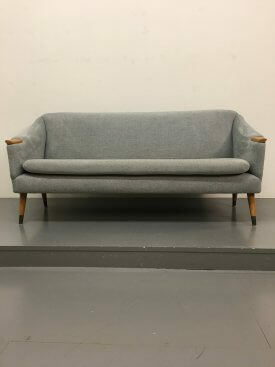 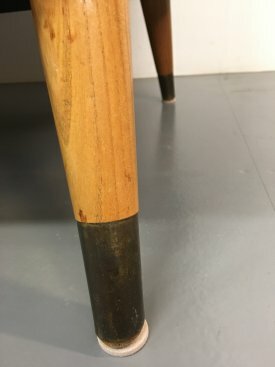 Solid oak feature armrests and turned, tapered legs with brass sleeves. 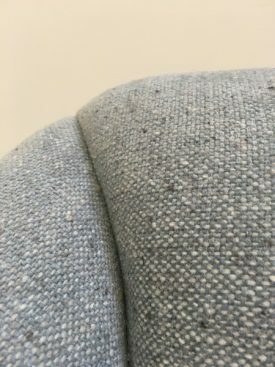 Fully upholstered in blue Romo wool.